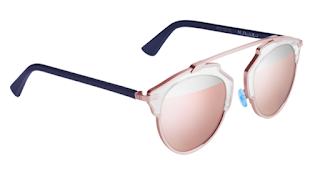 The Dior So Real sunglasses seem to be the eyewear to have this season with celebrities such as Rhianna, Rosie HW, Kylie Jenner and Olivia Palermo sporting the look. 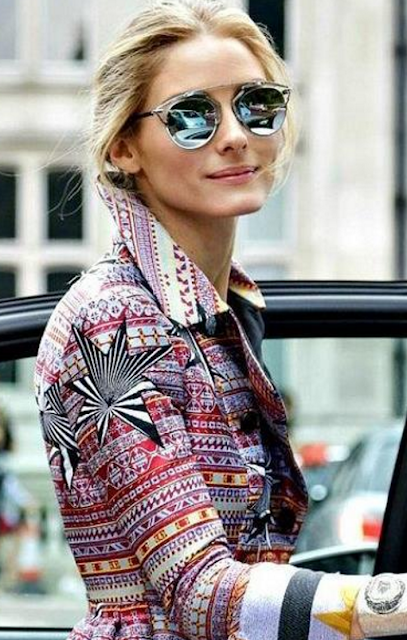 Not only this, but it seems an army of fashion bloggers too are supporting the style. 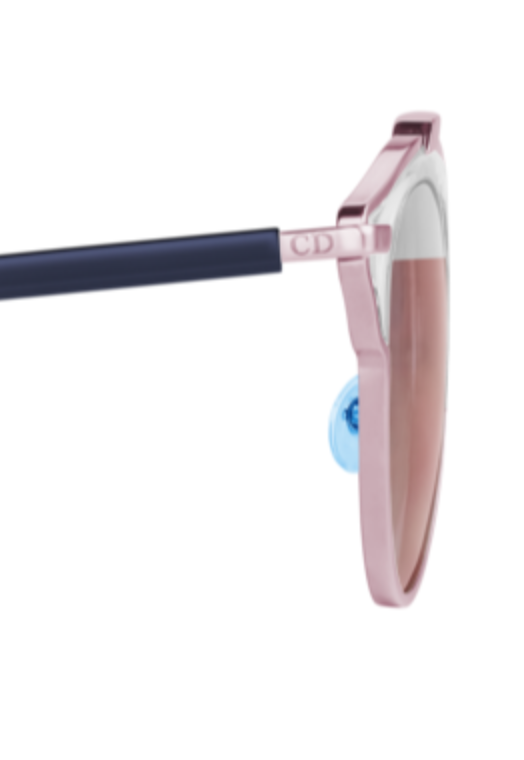 So what is so good about the Dior So Real Sunglasses? 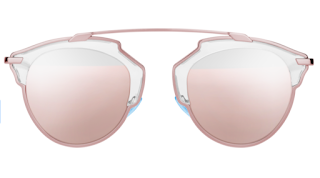 Firstly, they are Dior, so that really says enough to any fashionista, but they are also a new sort of shape, which is sort of an adaption of the aviator shape and club-master (Ray-Ban) frame. 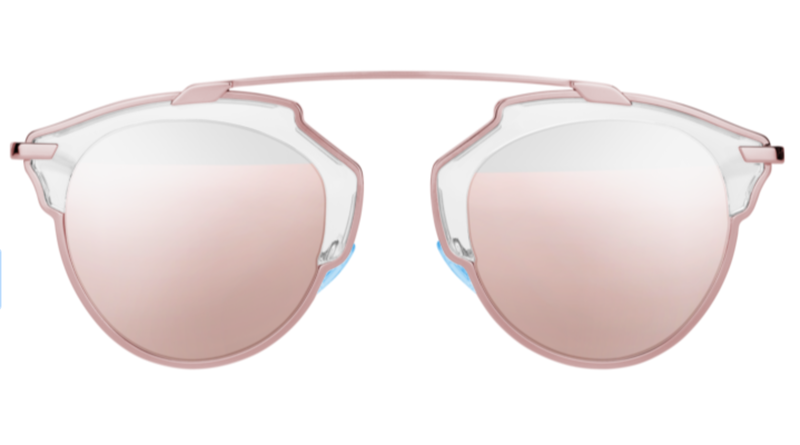 This gives the shape of the sunglasses a modern feel, but additionally the lenses are often mirrored, which also gives off futuristic vibes. They are customisable! Thanks Dior! 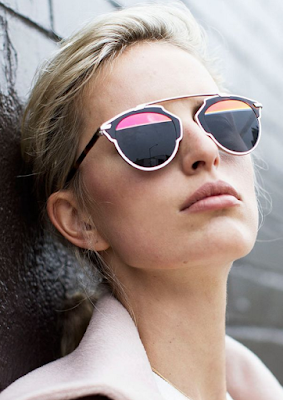 Check out our pink version of the So Real shades. You can also create you're own design here. Pink and silver spilt lenses with rose gold frames. Navy and blue details are added to give more detail and interest. CD Logo, the customiser also allows you to have your name engraved. View other Dior sunglasses here.